Uprising in Ferdowsi’s Shahnameh and the Quest for Social Justice in today’s Iran. The influence of clergy over Iranian society is not limited to today’s Islamic Republic — far from it. For much of its history, Iranian society has faced the clergy and its influence in the formulation of social, economic and educational policies of the state. Iranians have historically fought corrupt rulers, the influence of clergy, and foreign intervention in their quest for social justice, equality and a better treatment by the ruling class — each time producing mixed results. Such a narrative can be found as far back as the Shahnameh, or the Book of Kings. The poet Ferdowsi composed the Shahnameh, the national epic of Iran, between 940 and 1020 AD. Considered among the world’s greatest literary works alongside Homer’s Iliad and Virgil’s Aeneid, Shahnameh tells the story of ancient Persia starting with mythic stories about the origins of creation and civilization, continuing forward with epical stories about Persian heroic figures. 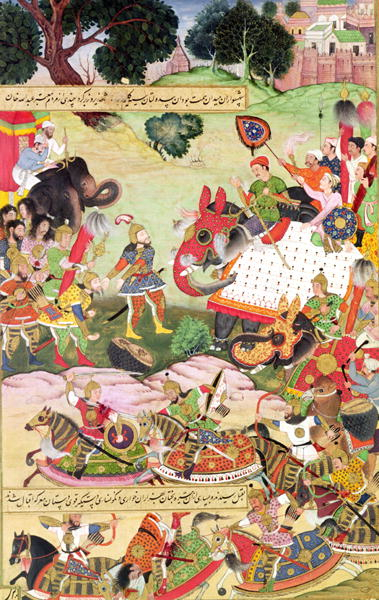 The non-mythological parts of Shahnameh are stories from seminal events in Persian history such as the time of Alexander’s conquest that led to the defeat of Achaemenids, accounts from different Persian dynastic rulers such as Sasanian, to the Arab invasion of Persia in the seventh century, as a result of which Islam arrived in Iran. The significance of Shahnameh lies, first and foremost, in having been responsible for shaping the Persian historical identity with deep cultural and linguistic influence. In a sense, the soul of Iran lies in the Shahnameh, which to date has withstood against all odds of history and been instrumental in preserving a coherent sense of cultural identity through its classical literature. The epic of Shahnameh brims with captivatingly eventful stories of sacrifice, ethics, treason, lust, and Oedipal complexes that over more than ten centuries have left its readers awestruck. Ferdowsi’s indescribable mastery in developing characters and his superb ability to give glimpses of everyday life in pre-Islamic Iran have helped historians, literature researchers and artists from the world over in their attempts for a better understanding of Iran and the Iranian culture. The story of Mazdak in Shahnameh takes place at a pivotal moment in the pre-Islamic Sasanian period (224-651 AD). Mazdak was the prime minister under King Qubad, who ruled Persia from 488 AD to 531 AD. For much of his premiership in the court of Qubad, Mazdak managed to win the King’s trust and ear on the affairs of state and economy at a time that the empire’s economy was in a free fall marked by a severe famine. Meanwhile, the economic crisis contributed to an already widening gap between the rich and poor. This expanding gap became an important source of debate in Qubad’s court. As part of an openly egalitarian reformist plan aimed at easing the socio-economic problems facing the Sasanian society, Mazdak consistently held private meetings with the King and discussed social problems that emerged due to unjust distribution of wealth. Mazdak always viewed the clergy in the court as exerting too much influence over the matters of state, economy, and public life, so one of his first moves was aimed at gradual weakening of the clergy. The clergy, though not necessarily in power, were omnipresent at the court and held a symbiotic relationship with the ruling class, who had amassed enormous wealth and exerted political influence. With King Qubad’s tacit approval, Mazdak’s quiet crusade against the clergy and the ruling class embraced radical egalitarian measures. These measures included confiscation of private property from the wealthy; distribution of wealth among the poor; and perhaps the most controversial of all, access to the riches’ women in harems by the poor who otherwise could not afford to have even one wife. The latter measure was also used as a replacement to marriage, which infuriated the wealthy who saw women in their harems shared by the ordinary and the poor. Followers of Mazdak, taking heed of his call for the distribution of wealth and subsequent realization of their newly declared rights to property, stormed government warehouses and the harems owned by the ruling class. The spread of Mazdak’s egalitarian ideals and resulting social developments raised serious alarms among a de facto alliance that existed between Anoushirvan (Khusrou I, 531-579 AD), heir to Qubad’s throne, and the clerics in the court. Growing increasingly fearful of the uprising, Anoushirvan started to consult with the clergy to find a solution to what they saw as a crisis that had the potential to turn into a full-blown revolution and dethrone the king. Anoushirvan’s close consultations with the clergy also involved the King, who was convinced to withdraw his support from Mazdak and his ideology. In a stunning turn of events, King Qubad agrees with his son, Crown Prince Anoushirvan, to launch a bloody campaign of repression against Mazdak’s followers. The campaign, with the blessing of the clergy, culminated in a ruthless mass killing of Mazdak’s followers. The King essentially stamped his seal of approval on staging a coup against Mazdak and his followers. King Qubad’s security forces, upon capturing Mazdak’s followers, buried them live upside down, creating a vast cemetery made of human trees. The next step for Anoushirvan and his team was to capture Mazdak and try him under charges of sedition and overthrowing the government. Mazdak was put on a hasty show trial in the King’s court and sentenced to death. The verdict was implemented shortly after the trial. The current struggle for social change and democracy is unique compared to previous struggles and social movements, for the fact that today’s struggle is taking place by a population that not only is young and energized, but also far more educated than any of their preceding generations. It is a pivotal development that the oral culture, historically as the most dominant communication method in Iran is giving way to the establishment of a written culture; a transformation that has the ability to finally institutionalize the culture of democracy in Iran with far reaching implications perhaps for a part of the Middle East. It might also have an equally significant ability to deal a devastating blow to the influence of the clergy who have exerted their immense influence on the Iranian society (pre- and post-Islamic periods) merely through centuries-old traditions of oral culture. Another testament to the development of a written culture in Iran is the vast popularity of personal blogs, citizen journalism, writing seminars, and a remarkably well-educated female population that does not give up demanding its equal rights. The heavy weight of Iran’s political and cultural influence, with its increasingly mature civil institutions, is derived from great military, civil, literary, religious and governance traditions exemplified by the Achaemenid, Parthian, Sasanid and various post-Islamic periods. Ferdowsi has clearly documented the essence of Persia. It captures the historical identity of Iran. It is incumbent upon readers to discover Ferdowsi to understand the Iran of today.